When we think of trade and business opportunities, the words of a prominent businessman and former Cabinet Minister, Hans Joachim Keil, immediately spring to mind. The time was years ago when the nation was preparing to join the World Trade Organisation (W.T.O). It was when Mr. Keil was the Minister of Commerce, Industry and Labour and was heavily involved in the W.T.O negotiations. The time would be well remembered by many members of the business community. That’s because when the idea of joining the W.T.O was first introduced on these shores, it was met with strong pessimism. This was largely due to fears that economies like Samoa – called least developed countries at the time – would not be able to foot it on a level playing field with everyone else, let alone superpowers such as America, China, Europe and others. Now why are we talking about Mr. Keil, trade and opportunities in 2017? It’s simple really. Looking at what is happening today, we could still be having the same conversation with Mr. Keil and the issue will be as relevant as ever. These are challenging times. They are fragile and sensitive times. When it comes to trade and business opportunities, there is no secret that our local businesses can do with a helping hand. While there are some examples of local businesses who have done exceedingly well in terms of finding niche markets where they have continued to push and develop their products, there is a lot more to be done. And it has everything to do with what Mr. Keil said then. We need to improve product quality and being able to come up with prices that are competitive and attractive to potential buyers. For the private sector to do this effectively, the government needs to come on board and provide assistance and incentives. It goes back to what we’ve been saying that the government must invest money to encourage people to develop their businesses. Take farming and agriculture for instance, with all that fertile soil in Samoa, imagine if there were millions of tala available to local farmers so they can fund different projects to utilise their land? The government should help private businesses set up factories where our wildly grown breadfruits, mangoes, papayas, lemon and so forth are canned and exported. That way employment is created, people have money in their pockets and the economy is stimulated. Most importantly, there is a solid base for exports earning us much-needed revenues. 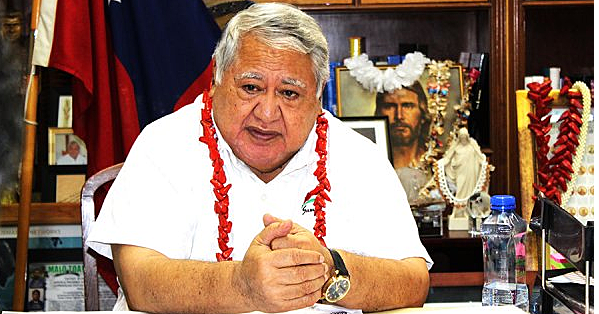 The worry for Samoa is that in the absence of a solid export base, the government will continue to depend on foreigners and investors to create employment. Which is precisely what is happening. The irony is that there have been so many meetings and forums discussing this and that trade opportunities and what have you in terms of employment but hardly anything has materialised. But there is simple truth behind why they fail. That’s because a lot of them are driven by the need to use funds set out to have a meeting. They are driven by the agenda of the funder and they have to tick the box to have a meeting, the accompanying dinner and cocktail so they can take their photo and issue a press release to show what a wonderful job they have done. Sadly after that, we return to square one. Why is that? We need to help ourselves first. Meetings are only good if what they are discussed is implemented to benefit the wider public. But if it’s just another talkfest for the sake of talking, we are wasting time.